Did you know Mele Cotte means baked apple in Italian? Mele Cotte is Christina’s blog. Being a middle school educator/administrator is a demanding job on its own. She still manages to take cooking classes and blog about the dishes she makes. This month I got Mele Cotte for my Secret Recipe Club blog. I am sure I mentioned Secret Recipe Club. It is where you are assigned a blog and make a recipe from that blog. You then blog about that recipe. 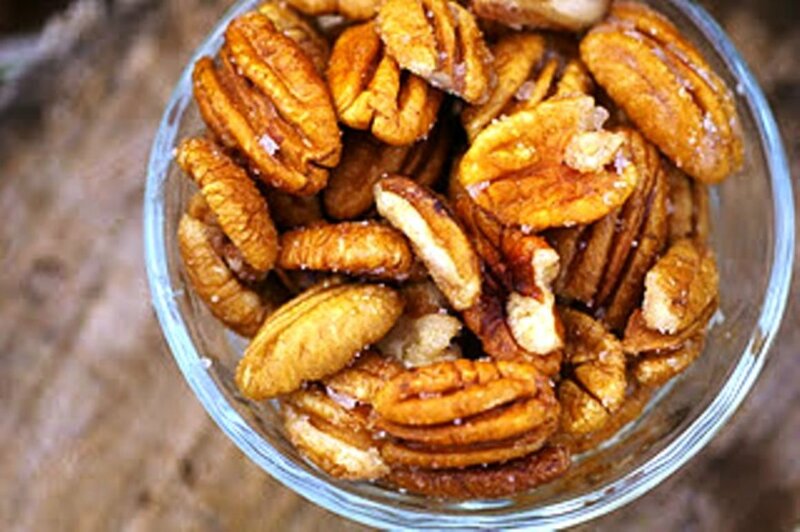 I decided to make her Tea Spiced Pecans. I couldn’t find the Strawberry Rhubarb tea she used, so I used Earl Gray. 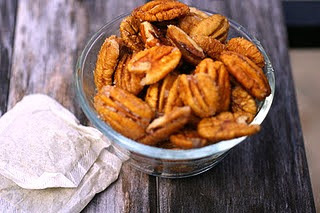 The pecans were very addictive, I couldn’t stop eating them. I really had a problem picking one recipe from her blog. It has very yummy recipes. Great SRC pick and wonderful photos. Happy, happy holidays my SRC friend! Think we just found one more holiday treat to make! these are a perfect little treat! What a divine recipe – I love a kicked up nut recipe. Glad to be part of SRC group C with you. Happy Holidays! I Love this recipe! I have the perfect person to give these to as a gift! Thank you for sharing! Last month I did a recipe challenge on cooking with tea, grrr I wish I had seen these, it would have been a great addition. I imagine you could use all sorts of different types of tea, I think the possibilities are endless. I agree with Eliot, what a great gift idea. Great SRC post and thanks for stopping by Foodness Gracious. Tea and nuts sound like a great match. Oh, YUMMY! Perfect recipe for this time of year…and excellent SRC post! Merry Christmas, my friend! 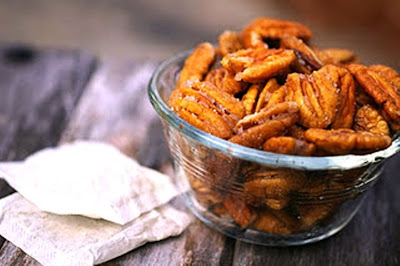 What a perfect little snack to munch on when I feel those afternoon hunger pangs. These would be lovely to serve with a nice glass of wine before dinner. Merry Christmas! Oh yum! You definitely chose wisely. I’ve never heard of the rhubarb tea, but Earl Grey sounds perfect with pecans. What an interesting idea. I bet these had a unique flavor. Merry Christmas! 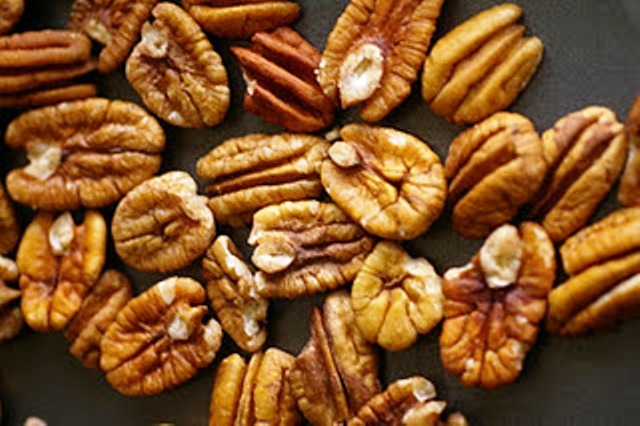 Pecans are addicting–in any form. great SRC pick. Have a very Merry Christmas. Love that you chose this recipe…a favorite of mine! (Sorry so late with my comment…my first got lost in cyberspace somewhere.) Great choice with earl grey. I just popped over to check out the recipe – and that is genius! What a great way to flavor your nuts!! I love this idea!! What a unique way to season nuts! I would love to eat this for a snack!